In this week’s Industry Perspectives, the team at POWER Engineers explores common detail engineering challenges in microgrid implementations and how to overcome them. Voltage and frequency stability: Does the microgrid include the correct mix of real and reactive power sources and sinks to generate and deliver energy with necessary stability? How fast must non-critical loads be shed to maintain stability when unintentional islanding occurs or when an in-grid source is lost? Protective relaying performance: How fast must faults be cleared from the islander microgrid to prevent loss or microgrid collapse? How quickly do voltage and frequency recover after successful fault clearing? How do topology changes impact fault detection and protective device coordination? Arc flash hazards: How are they different in islanded operation and what can be done to mitigate increased flash hazards. The challenges above are exacerbated when constraints such as project cost, original system electrical topology, and available physical space seem to limit placement options for microgrid apparatus in new or existing systems. An upcoming paper and Microgrid 2017 Conference presentation by John Kumm, director of SCADA and analytical Services at POWER Engineers, will explore the topics above in detail. 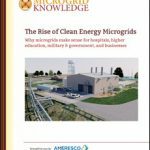 The challenges above are exacerbated when constraints such as project cost, original system electrical topology, and available physical space seem to limit placement options for microgrid apparatus in new or existing systems. Fault current sources, magnitudes, and pathways through the system are dramatically different under islanded versus parallel operation. 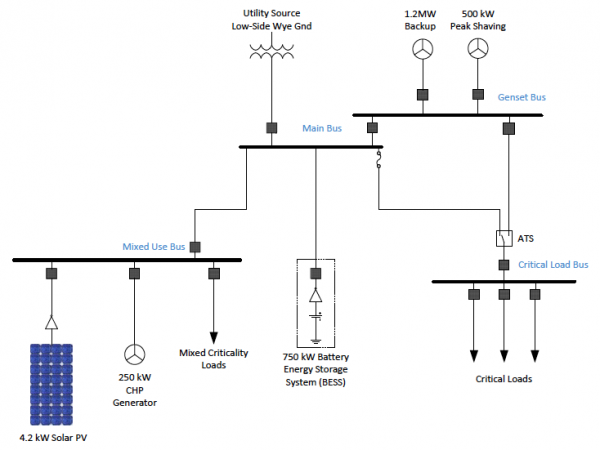 Traditional time-overcurrent protection elements employed take longer to clear faults that occur during islanded operation, so fault clearing times vary widely depending on whether the microgrid is islanded or parallel. Load response to both fault application and clearance. Arc flash hazards, present for workers near energized apparatus, depend on fault current and fault clearing time, among other factors that are not variable for a given system. Flash hazards will depend on whether the microgrid is islander or parallel and each viable topology should be reviewed to identify worst case flash hazards. When a microgrid must be implemented using a similar topology to that shown in Figure 1, consider the following analyses. When possible, use differential or communication-aided protection to improve fault sensitivity and decrease tripping delays. This may increase equipment cost but offers the benefits of faster fault clearing, more stable microgrid operation, and reduced arc flash hazards. When coordinating time-overcurrent protection devices, identify all ground sources, generation sources, and coordination paths from to the fault. Protective devices close to the fault will often see the largest fault current. Be aware that CT ratios and current pickup sensitivities both influence device tripping speed. Coordination that works in one topology may not work when sources are added or subtracted. You may wish to install transformer neutral grounding switches that selectively insert or remove microgrid ground current sources, depending on microgrid topology. If microgrid slanging removes the only microgrid ground source, this is required for effective grounding at the point of interconnect voltage level. After protection coordination is complete, analyze arc flash hazards for all foreseeable microgrid topologies. Develop a plan to keep electrical workers safe and informed regarding the hazards for different topologies. Consider arc detecting relays for indoor or metalclad switchgear. These can speed clearance of arcing faults and reduce arc flash hazards. Carefully analyze arc flash maintenance modes. We have found that accelerated overcorrect tripping does not always yield reduced flash hazards due to fixed breaker operating times. We are looking forward to November when we can share more technical details regarding the topics above and a standardized and modular microgrid topology. This topology can be employed to both improve microgrid performance and reduce engineering costs. See us in Boston November 6-8 at the Microgrid 2017 Conference for more information on engineering challenges in microgrid implementations! 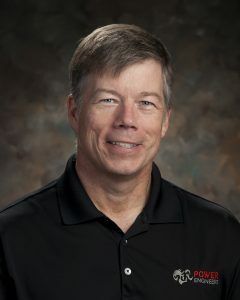 Dan Jones is a project engineer; Doug Jones is a senior project engineer and department manager; and John Kumm is director, SCADA and Analytical Services at POWER Engineers. POWER Engineers is a global consulting and engineering firm specializing in the delivery of integrated solutions.